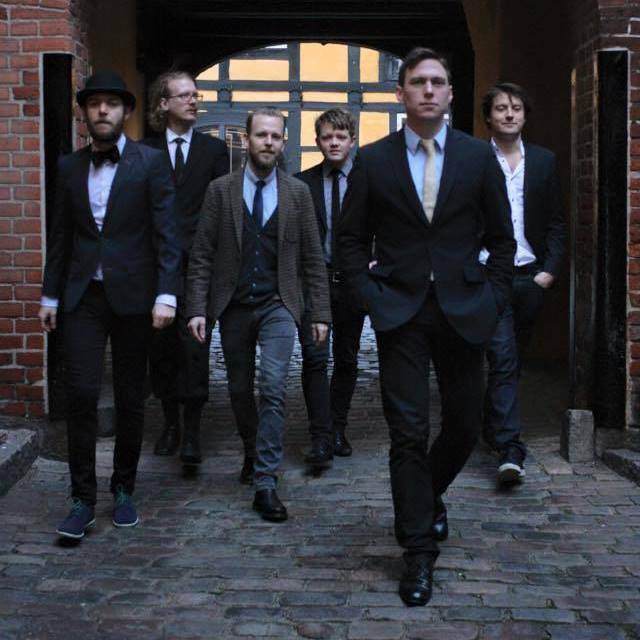 Jack Street, a Young New Orleans styled Jazz band from Denmark, Copenhagen. This record-breaking Danish jazz band Jack Street consists of young musicians with an obvious interest in old swing jazz. Jazz of the kind that, among others, Louis Armstrong brought to peat in the 30s and 40s. The young Danes – Björn Ingelstam, Jeppe Zacho, Morten Jessen, Johannes Buhl Andresen, Andreas Svendsen and Morten Mandel – clearly demonstrate this. They love the genre. The old swing jazz, which can both excel in joy and sadness. They love it. Their repertoire includes many of the traditional jazz melodies, big band tracks from the 40’s nightclub environment. The poetic jazz standards are arranged and performed with passion and respect for style and great icons such as Nat King Cole, Louis Armstrong, Louis Jordan, Louis Prima, Glenn Miller, Count Basie, and others.